Oecanthus niveus (Narrow-winged Tree Cricket). Size: approx. 20 mm. Photo: 06/18/14, noon. 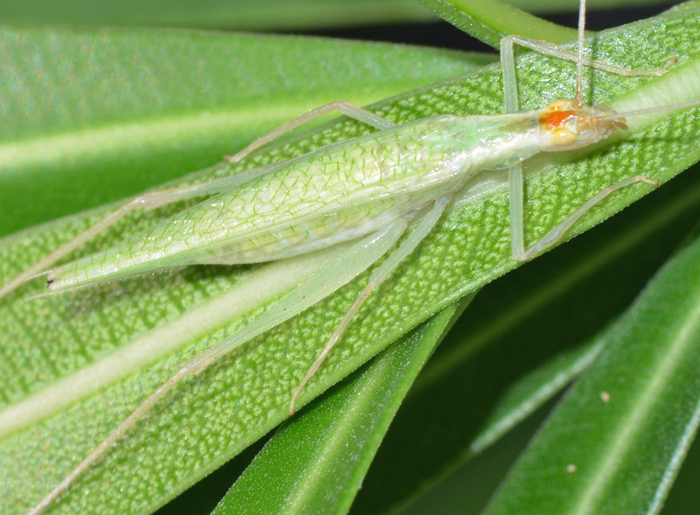 I found this nicely camouflaged tree cricket underneath an oleander leaf. Most of these species can be identified by inspection of the first two antennal segments. This one has a characteristic orange patch on the head and translucent limbs, strongly suggesting O. niveus. 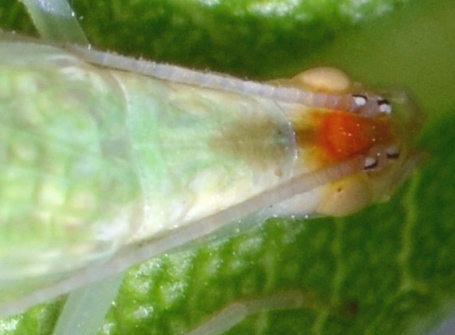 Tree cricket nymphs are essentially small versions of the adults with external wing buds.